We’ve all heard of the big energy companies in Australia, but there are more than 20 different retailers all competing for your business. 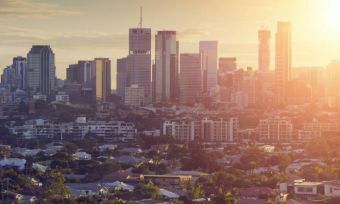 Two of the biggest challengers to the like of Origin, AGL and EnergyAustralia are Alinta Energy and Dodo Power & Gas – both making a big impression along the east coast because of their simple electricity plans, competitive rates and big discounts. In this cost comparison, Canstar Blue reviews the electricity retail offerings of Alinta Energy and Dodo Power & Gas to help you better-understand your options and potentially find a better deal. Alinta and Dodo operate across New South Wales, Victoria, South Australia and South East Queensland, providing just one or two market offer contracts with large pay on time discounts in each state. So which retailer is cheapest in your area? Read on to find out. Here are the current cheapest published deals on our database for Dodo and Alinta Energy across Victoria, New South Wales, South Australia and Queensland, with any conditional discounts factored in. Here are the cheapest published deals for Dodo and Alinta Energy on our database for Victoria. These costs are based on a typical three-person household living on the Citipower network in Melbourne, but prices may vary depending on your circumstances. Use our comparison tool above for a specific comparison in your area. Here are the cheapest published deals for Dodo and Alinta Energy on our database for NSW. These costs are based on a typical three-person household living on the Ausgrid network in Sydney, but prices may vary depending on your circumstances. Use our comparison tool above for a specific comparison in your area. Here are the cheapest published deals for Dodo and Alinta Energy on our database for QLD. These costs are based on a typical three-person household living on the Energex network in Brisbane, but prices may vary depending on your circumstances. Use our comparison tool above for a specific comparison in your area. Here are the cheapest published deals for Dodo and Alinta Energy on our database for SA. These costs are based on a typical three-person household living on the SA Power network in Adelaide, but prices may vary depending on your circumstances. Use our comparison tool above for a specific comparison in your area. Alinta Energy’s two market offers in Victoria are the Fair Saver 30, which comes with a guaranteed 30% discount off electricity usage charges for a 12 month benefit period, and the Fair Deal 43 which bumps the discount up to 43% for paying on time. Both plans have no lock-in terms or exit fees for anyone wanting to leave early. Basically, if you think you will always pay on time, it makes sense to go with the Fair Deal 43. Canstar Blue has crunched the numbers to find which retailer comes out cheapest. In this example, we have calculated the expected annual cost for a typical three-person household with a single rate tariff living on the Citipower network in Melbourne. Conditional discounts have been applied to the total bills. *Costs based on annual usage figures from the AER for a three-person household on the Citipower network in Melbourne, March 2019. Alinta comes out marginally cheaper in this comparison, but given the additional discount, you might have thought the savings would be more substantial. This is why it’s important to review energy price factsheets before signing up to a new power plan to get an idea of the specific prices you will be paying. Sometimes the bigger discounts don’t deliver the big savings you might expect. Be aware that costs can vary depending on location, so be sure to use our comparison tool above for specific quotes in your area. You can also see how these retailers compare to others in the market with our Victoria price comparison. Alinta Energy offers New South Wales customers the Fair Deal 30 product. Similar to Victoria, it has no lock-in terms or exit fees. For the first 12 months after signing up, customers receive a 30% pay on time discount off electricity usage charges. If you’re not sure about paying on time, Alinta also has a guaranteed discount plan in the shape of its Fair Saver 15 in NSW. Dodo’s market offer also comes with a 30% discount off electricity usage charges. Like Alinta’s deal, it has no lock-in contract, but unlike Alinta it has an ongoing benefit period that does not disappear after a year or two. Who‘s cheapest in New South Wales? It’s Alinta’s Fair Deal 30 up against Dodo’s market offer, so how do they compare? Using Canstar Blue’s electricity database, we have calculated the expected annual costs of these two plans. The calculations below are based on a typical three-person household living on the Ausgrid distribution network in Sydney, with a single rate tariff. Costs include conditional discounts. *Costs based on annual usage figures from the AER for a three-person household on the Ausgrid network in Sydney, March 2019. Alinta Energy currently works out significantly cheaper than Dodo in New South Wales, even though both retailers have the same percentage discount. So the important message should be to look beyond the headline discount and check the energy price factsheets for the rates and full terms. To see how these two retailers compare to others in the NSW market, check out our NSW price comparison report. As the above costs are based on the Ausgrid network in Sydney, make sure to use our comparison tool for a specific quote in your suburb. Is Alinta Energy’s big discount offering all it’s cracked up to be? Or will you find better value with Dodo in the Sunshine State? To find out, Canstar Blue has calculated the expected annual costs of each plan, once again based on a typical three-person household with a single rate tariff. Costs based on annual usage figures from the AER for a three-person household on the Energex network in SE Queensland, March 2019. Alinta Energy currently works out cheaper than Dodo in SE Queensland, but remember that Dodo’s product has an ongoing benefit period. Be sure to compare these two retailers to others in the market before making any big decisions. See our QLD price comparison report for details. Alinta Energy offers South Australians the Fair Deal 28 plan, which brings a 28% pay on time discount off electricity usage charges for a benefit period of 12 months. For those not sure about paying on time, there is Alinta’s Fair Saver 17, with a 17% guaranteed discount off electricity usage charges. Dodo Power & Gas offers a 25% pay on time discount with its market offer, though that discount is ongoing and won’t disappear after a year or two. Does Alinta or Dodo come out on top in South Australia? Below we have calculated the expected annual costs of each provider to see which is cheapest, based on a typical three-person household with a single rate tariff in Adelaide. Costs based on annual usage figures from the AER for a three-person household on the SA Power network in Adelaide, March 2019. While both retailers are pretty expensive compared to the other states, we see in our example that Alinta Energy beats out Dodo by about $100 a year in SA. To see how other retailers compare, be sure to check out our South Australia price comparison table. How can you find the best power deal? Alinta Energy and Dodo Power & Gas are perfectly reasonable electricity providers. In fact, they make things pretty simple for prospective customers with just one or two offers to consider, quite unlike several other retailers which have three, four or even more contracts to navigate. This can make things more complicated than it needs to be, so credit to Alinta and Dodo in this regard. Both are reasonably price-competitive in each state, with big conditional discounts to help reduce your overall power costs at the end of the month or quarter, provided you can pay your bills on time. We should point out though that not all Alinta plans require customers to pay on time. In some states, the retailer has products with smaller but guaranteed discounts. While Alinta Energy is often cheaper than Dodo, you need to consider the big picture. Dodo’s market offers come with ongoing benefit periods which do not disappear after a year or two. This could prove helpful if you don’t want to switch energy provides too frequently, but if you’re not afraid to regularly compare plans and providers, you can always switch when Alinta’s discount expires. You could also negotiate a new deal. Either way, there is a lot to think about, so do your research before jumping in.